Eat, sleep, read. 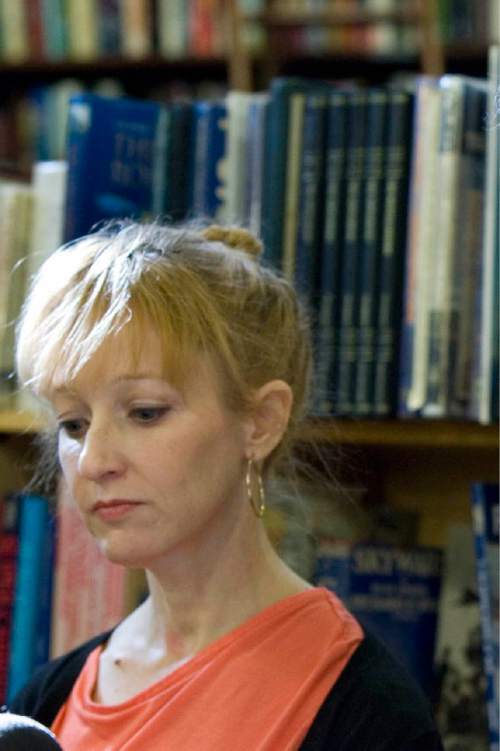 Even if you follow that model, as suggested by local booksellers, it&apos;s hard to keep up with what&apos;s being published in the Utah literary landscape. Among the books we featured in our UtahLit book club this year were national best-sellers by Teresa Jordan ("The Year of Living Virtuously"), Mette Ivie Harrison ("The Bishop&apos;s Wife" and "His Right Hand"), Ben Jones ("The Never-Open Desert Diner") and Julie Checkoway ("The Three Year Swim Club"). With the end of 2015 almost here, Tribune staff readers took an opportunity to consider some other recent books with regional significance, ranging from historical fiction to contemporary essays and art photography. And then we asked local booksellers to offer some favorite national titles. All of this is just a chance to celebrate the versatility and range of books that consider the landscape we live in. About • With two failed engagements, a recent divorce and no immediate love prospects, 32-year-old Kimberly Rossetti hardly seems qualified to be a romance writer. Still, the automobile finance officer, who struggles with a childhood tragedy, decides she must follow her publishing dream and signs up for a writing retreat at The Mistletoe Inn. While she hopes the conference in snowy Vermont will her get an agent and publishing deal, Kim secretly is attending so she can meet the elusive romance author whose books inspired her to become a writer. What works • A quick read that offers an uplifting, albeit predictable, story for the holidays. 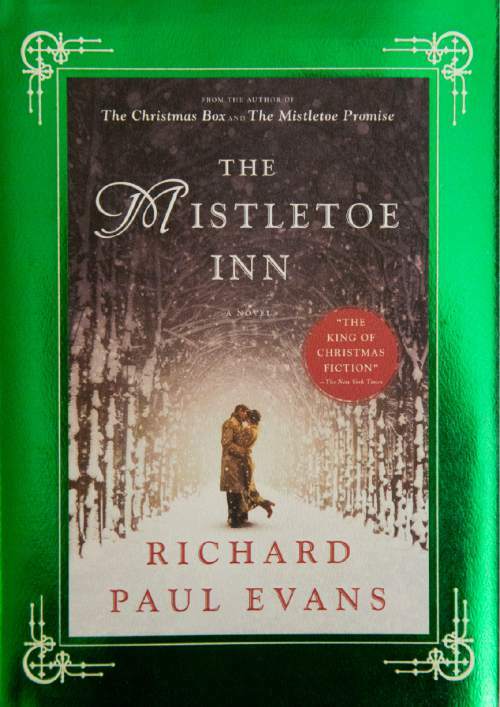 Author&apos;s background • A regular on the New York Times best-seller list, Evans launched his career with the Christmas-themed "The Christmas Box" trilogy. 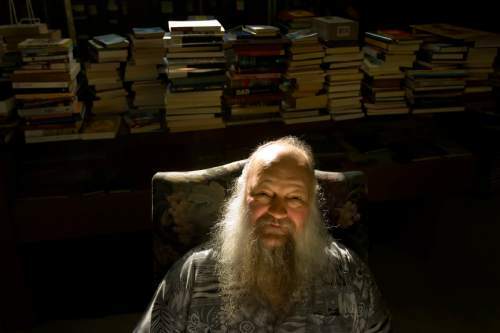 But the Salt Lake City resident, fearing he might be typecast as a seasonal writer, steered away from holiday stories for nearly eight years. When sales fell, he returned to what he does best. "I learned that it was good advice to dance with the one who brought you to the dance," he wrote in an email. Evans says • "Two years ago, I decided that there was too much heaviness in the world, so I decided to give my readers three happy Christmas love stories I called the Mistletoe Collection." "The Mistletoe Inn" is the second in series, and while it is a love story, "it is also my attempt to open a discussion about the hurt people feel when they&apos;ve been abandoned early in life." 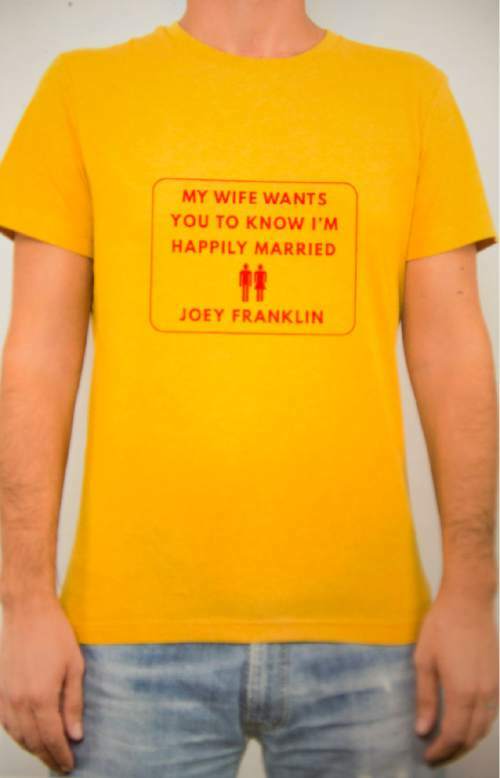 "My Wife Wants You To Know I&apos;m Happily Married"
About • Fourteen personal essays on a variety of topics. In "Grand Theft Auto," Franklin details a partly true, partly imagined vision of what thieves did with his stolen car, but it&apos;s hard to sympathize when he tells you it was taken because he had left it unlocked with the keys inside. "Working at Wendy&apos;s," on a fast-food employment gig, would have benefited if he had stopped navel-gazing long enough to write more about his colleague who had just been released from jail on drug charges. In another piece, he writes about his father&apos;s year in jail, but his crime is oddly never revealed. Franklin acknowledges he&apos;s not a journalist, but several essays could have been helped by a journalist&apos;s truth-telling approach. For if he&apos;s too timid to be more open, why should readers care? What works • Essays range from sweet to schmaltzy to saccharine, meaning that Mitch Albom fans should eat this up like literary comfort food. 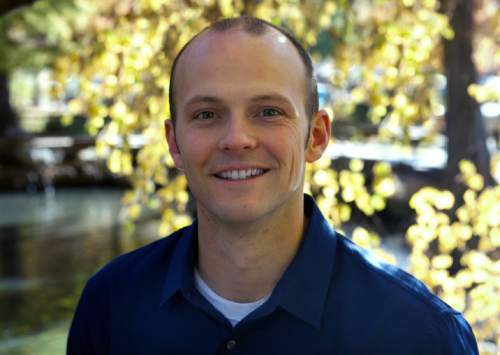 Author&apos;s background • Franklin, 35, is an assistant professor of English at Brigham Young University. This is his first book. 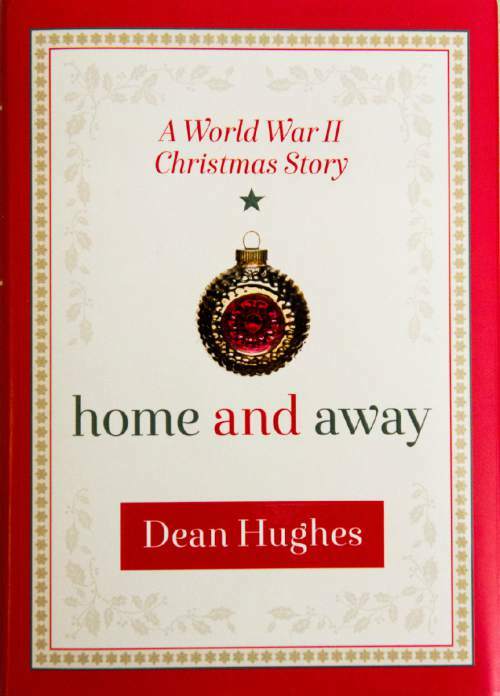 About • This novella is Hughes&apos; 101st book, a Christmastime story of the Hayes family in the waning days of World War II, told from the perspective of son Glen, on the battlefront in Europe, and his 16-year-old brother, Dennis, at home in Ogden. What works • A heartfelt coming-of-age story for those who, like Hughes, believe Christmas is "a time of year that brings out our strongest emotions." "Home and Away" explores timeless themes through a family struggling to make the best of things, mixed with nostalgic details from Hughes&apos; birthplace of Ogden. There&apos;s an extra personal touch, too. A key storyline is inspired by a special dress the author bought for his mother one Christmas when he was a teenager in the 1950s. "Really, the entire novella is fiction," Hughes says, "but those personal feelings made all the difference in how I was able to tell my story." Author&apos;s background • Hughes has been writing professionally for almost 37 years, with many of his titles aimed for children and middle-grade readers. He studied English at Weber State University and earned master&apos;s and doctorate degrees from the University of Washington. 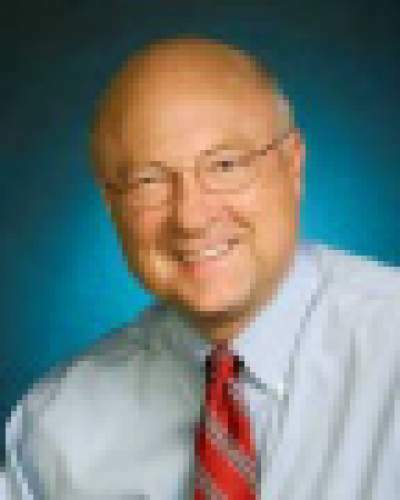 He has taught English at Central Missouri State University and Brigham Young University. Hughes says • So what makes book No. 101 extra special? "First, it&apos;s my first Christmas book," says Hughes. "Second, more than any book I&apos;ve written, it probes my own relationship with my mother and father. We carry with us the influences of our family all our lives  both the advantages and the challenges. I&apos;m 72 now and I feel as though I&apos;m finally understanding some things about myself. That may not matter to the reader so much, but in creating a story that does more than show emotion, but also looks rather introspectively at a family dynamic, I think it will cause readers to think about their own relationships  and perhaps the role Christmas has played in the values they have established." "After Montaigne: Contemporary Essayists Cover the Essays"
About • Buzz has been swirling about the idea of this collection of literary covers  essays that are modeled upon or inspired by the genre&apos;s popularizer, the 16th-century writer Michel de Montaigne, the Shakespeare of the nonfiction world. The 24-essay collection is edited by writers David Lazar and Patrick Madden, the latter a Brigham Young University English professor. What works • Literary range. The idea of the book might seem academic, as if readers might be required to take a test on Montaigne&apos;s classic essays. Never fear  the variety of writers and voices collected here offer multiple delights, and each take-out is short enough to provide one-sitting readings. Two memorable essays feature Madden&apos;s thoughtful, pleasurable "On Practice," which features an aging athlete&apos;s take on developing mastery, as well as aging and the busy-ness of contemporary life, all pegged to teaching his daughters to learn how to play his beloved volleyball; and Elena Passarello&apos;s playful, brilliant "Interview of Princes," which is about, well, interviewing the iconic musician once and again known as Prince. Background • Madden, 44, grew up in New Jersey and served an LDS mission to Uruguay before earning degrees in English and physics and a doctorate at Ohio University. Madden says • The collection grew out of his study of Montaigne&apos;s work, which he used as a model when he was learning to write. Over the years, he&apos;s offered Montaigne&apos;s essays as examples of craft and technique for his writing students. That led to a collection of prose covers. "Musical covers are derived from the original, usually in the same key, same lyrics, same style as the original artist," Madden says. "Covering a work of literature is not so cut and dried, it&apos;s a more difficult process." 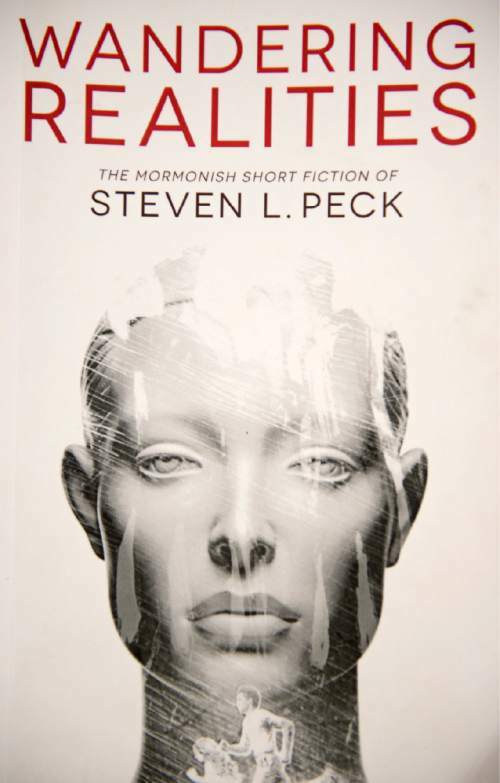 "Evolving Faith: Wanderings of a Mormon Biologist and Wandering Realities: The Mormonish Short Fiction of Steven L. Peck"
About &apos;Evolving Faith&apos; • Peck, a native of Moab, is an associate professor of biology at Brigham Young University, where he teaches a variety of courses, including bioethics. His research on insect populations, recognized by the U.N. and the National Academy of Sciences, has been used to help fight insect-borne illnesses. In addition to scholarly articles, Peck has published fiction and poetry and maintains a blog called The Mormon Organon (http://sciencebysteve.net). What works • In a style that ranges from the academic to the personal, Peck addresses the often troublesome intersection between science and faith. Along the way he discusses the scientific method, explores the concept of subjectivity, examines the nature of consciousness, advocates for ecological awareness and good stewardship of the Earth&apos;s resources and discusses our very human need for sacred spaces. His conclusion? Faith and science can  and should  inform one another. The second half of Peck&apos;s book, which is decidedly more personal, may be easier for the lay reader to access than the first half. But the entire collection stands as a thoughtful response to the works of thinkers like Richard Dawkins. Peck says • "What I hope endures from this collection is the perspective that one can embrace both good science and the truths of the gospel without compromising either one." About &apos;Wandering Realities&apos; • The tales in this imaginative collection of short stories reflect something of a bizarro-world with a Mormon twist: a bishop who shoots the yappy dogs in his neighborhood, an official in the LDS Church of the future who grapples with the question of whether an artificial intelligence can be baptized, a Martian version of Mormonism. Peck divides the stories into two categories: "Other Worlds," which has a science-fiction and fantasy flavor, and "This World," in which reality is infused with something quirky or troubling. What works • Engaging and insightful, Peck burrows into the Mormon experience to poke fun at cultural conventions as well as explore deep ethical questions. His sure-footed prose and wide-ranging consciousness add up to an entertaining and thought-provoking read. Familiarity with Mormon culture helps. Peck says • On why he writes: "For me, writing is a kind of therapy. It is where I work through my perplexities and explore things I care about. So sometimes I can&apos;t help but write. That others are interested in reading them really is the icing on the cake." On what makes this book unique: "The stories are unusual in that I explore the edges of Mormonism in ways that are rarely done. … All the stories are uniquely Mormon, but they aren&apos;t afraid to ask hard questions." "The Wives of Billie&apos;s Mountain"
About • This self-published 2014 historical novel about the abandoned second family of a polygamist sparked local attention in November when the writer published a Tribune letter to the editor about the Deseret News&apos; decision not to publish an ad for the book  presumably because the novel is about polygamy, Simmons says. What works • Advertising censorship isn&apos;t the best reason to seek out the book. Instead, it&apos;s Simmons&apos; layered, full-bodied character of Mary, a hard-working young girl who runs away from her family rather than accept a polygamist&apos;s proposal. This richly developed story, a fictionalized account based on Simmons&apos; great-grandmother, offers relevant insight into how institutional changes affect the rank-and-file faithful. But it&apos;s also filled with rich description that makes its early 20th-century setting and people come alive. "In a genre saturated with faux apocalyptic tales of teens in peril, here&apos;s an emotionally wrenching narrative out of U.S. history," according to the Kirkus reviews. 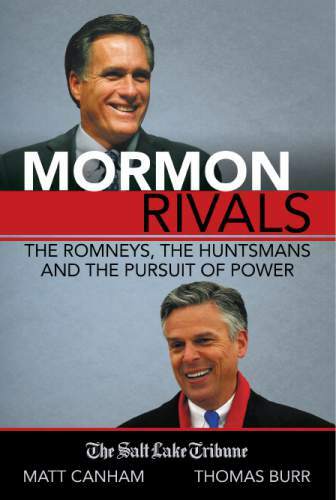 Author&apos;s background • Simmons, 54, was born in Salt Lake City and lives in Bozeman, Mont. She has worked as a tutor and in publishing and holds an MFA from Queens University, where she worked on shaping "Wives." She&apos;s currently working on a prequel. 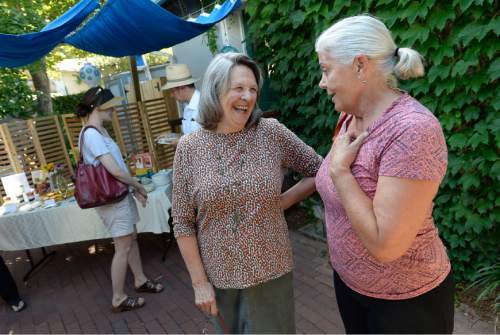 While Simmons isn&apos;t a member of The Church of Jesus Christ of Latter-day Saints, she claims deep Mormon roots, including her great-aunt, noted Utah-born writer Virginia Sorenson. Simmons says • As a teenager, she met Mary Higginson Simmons, her great-grandmother, who was in her 80s and seemed "old and scary." Later, in looking through family pictures, Simmons was surprised to find that Mary had been not just nusually tall, over 6 feet, but also beautiful in her youth. Simmons thought of what she considered her grandmother&apos;s "big life" for more than 20 years before she found her way to writing a fictionalized account. "It took a long time for Mary to talk to me, years and years and years, before I felt like I really got her voice," Simmons says. She&apos;s proud that several contemporary polygamous wives have responded positively to the book and were moved to seek out the Billie&apos;s Mountain area, near Thistle and Soldier&apos;s Summit, where the story is set. "The National Parks: An American Legacy"
About • This coffee-table book celebrates the 2016 centennial of the National Park Service. 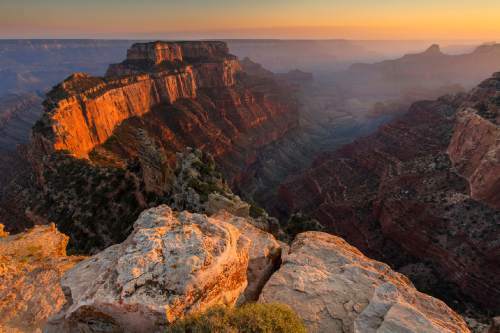 While it contains photos of the most famous national parks such as Yellowstone and Yosemite as well as all five of Utah&apos;s parks, it also features lesser-known national parks and monuments. Shive&apos;s introduction about the explosion in the number of photographers in the parks and the need for people to share is thought-provoking. Other charitable park foundations from throughout the system offer essays on the parks. What works • This beautiful book offers photos of national parks and monuments, famous and relatively unknown. For avid park enthusiasts, the book provides memories of past visits and places to dream about seeing. 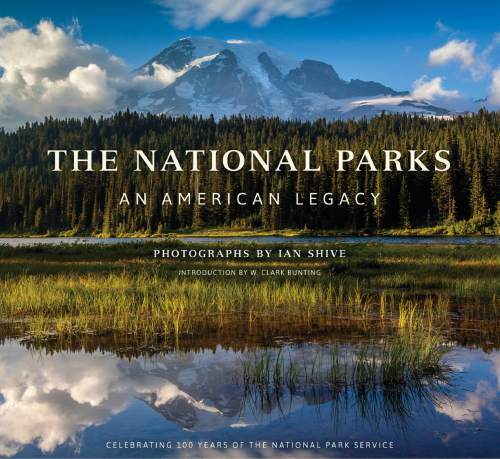 Author&apos;s background • Shive, who has photographed a number of Utah&apos;s iconic outdoor landscapes, is the recipient of the Sierra Club&apos;s Ansel Adams Award for Conservation Photography. 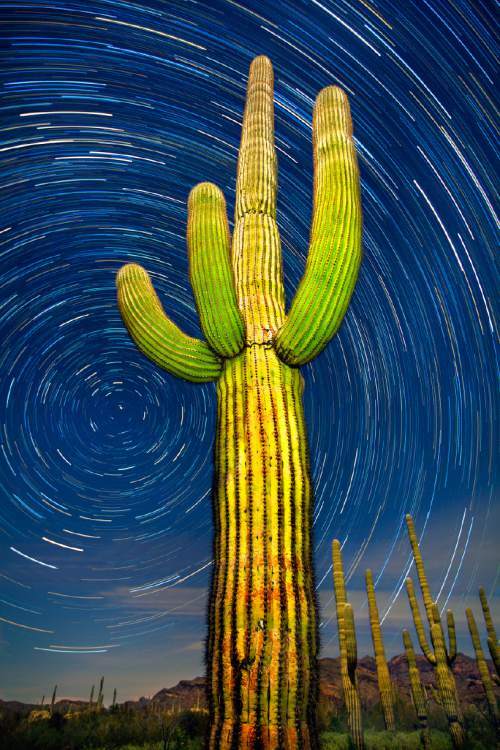 He has been published in National Geographic, Men&apos;s Journal, Outside, Backpacker, National Parks, Nature Conservancy and Smithsonian magazines, among others. Shive says • It&apos;s an interesting time, Shive says, to release a book of photographs compared with his last effort. "With the extreme sharing on social media, we&apos;re used to consuming images at a ravenous rate," he said. "What I love about something like this is its physical nature, the ability to sit, hold it, take your time and take it in. … I love hearing from people who share their own unique stories and memories and how the images in this book remind them of that." "Ways to the West: How Getting Out of Our Cars Is Reclaiming America&apos;s Frontier"
About • The author lights out on a quirky tour: a bike trip following transportation routes through the New West, touring his hometown of Salt Lake City, as well as Las Vegas, Phoenix, Denver, Boise and Portland, mostly on his bike, portaging via bus, rental car and briefly by train. What works • Sullivan is a smart thinker, a curious observer and a great contextualizer in crafting an interesting idea-fueled story about transportation. "Ways" is part travelogue, part urban argument, part New West history. While the beginning moves a little slowly, subsequent chapters clip along at a lively pace as Sullivan fights the winds along the Oregon Trail, pedals the isolated dirt paths of the Arizona Strip following the trail of the 1776 Dominguez-Escalante Expedition and joins bike commuters on the Greenbelt along the Boise River. Utah readers will especially appreciate his boat trip on the Jordan River and light-rail adventures that include seeing the potential of Murray&apos;s Fireclay TRAX station. "Even the footnotes are fascinating in a book that everyone in this city  or in any city in the West  should read," says bookseller Betsy Burton, who calls it a "terrific read." Author&apos;s background • Sullivan, 37, worked briefly as a reporter for The Salt Lake Tribune and The Oregonian before earning a master&apos;s in city and urban planning from the University of California-Berkeley. He&apos;s returned to Salt Lake City&apos;s Avenues neighborhood, where he was raised, and works as a planner for Parametrix. Sullivan says • "It seems a pretty obvious way to talk about cities is to go and visit them," he says. But it&apos;s important, because "how we get around determines what places look like and how cities function. I just wanted to show that there are other futures for the West. This is such a young region, and we really have an opportunity to think differently about the way things are." Betsy Burton, founder of The King&apos;s English Bookshop and president of the American Booksellers Association • One book that should be receiving far more attention than it has is Ivan Doig&apos;s "The Last Bus to Wisdom" (Riverhead Books, hardcover, $28.95), which is one of his very best yet seems to have been lost in the shuffle. Mark Twain-like in tone, picaresque in form, it tells the tale of a young boy, orphaned and living with his grandmother on a ranch in 1950s Montana, who is sent to stay with his great-aunt in Wisconsin when his grandmother falls ill. Trouble is, Grandma never much cared for her sister, and sure enough, after a lengthy and thoroughly entertaining cross-country bus ride in which he meets all manner of characters, encountering love, skulduggery and adventure along the way, our young hero lands in Wisconsin only to discover that his great-aunt is difficult, to say the least. Enough of the plot. Suffice it to say this is a rollicking read, full of humor and pathos and adventure (high and low), spiced with a bit of romance, steeped in history and as good a read as anyone could wish for  perfect for anyone from 16 to 96. I consider it a modern classic  it&apos;s that good. Ken Sanders, founder of Ken Sanders Rare Books and Dream Garden Press • Kate MacLeod&apos;s "A Collecton of Songs" (Dream Garden Press, spiral bound, $25). Kate MacLeod moved west to Salt Lake City in 1979 as a student in Peter Paul Prier&apos;s Violin Making School. After graduation, she continued to make violins and teach the instrument, before becoming an accomplished singer/songwriter who has issued a half a dozen or so albums. 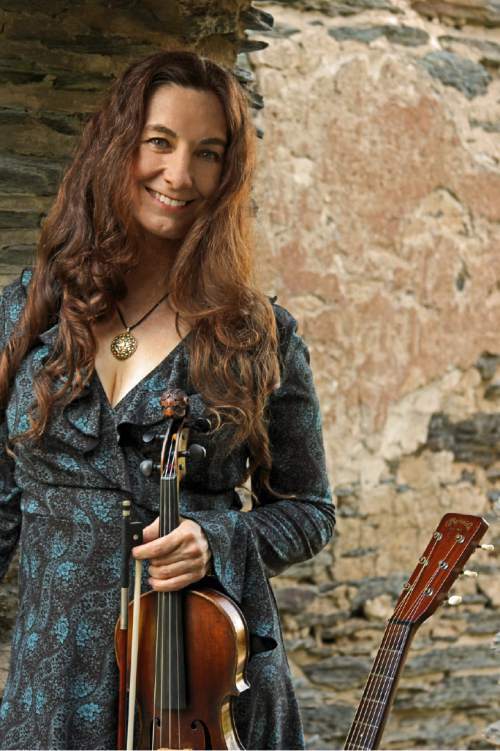 A master fiddle and violin player, she&apos;s also a brilliant songwriter and has a dazzling voice. She has a cult following but isn&apos;t widely known. This book contains the lyrics and musical notation for 52 of her songs, many of which are often played in folk and bluegrass circles. Hopefully, this new songbook will get her a little of the recognition she so richly deserves. 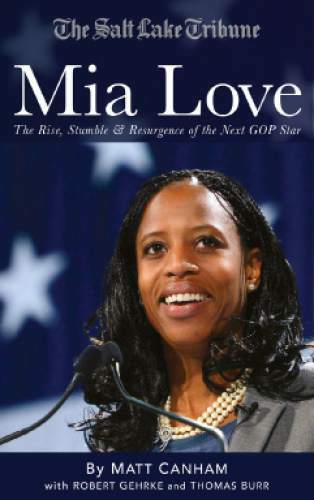 To regular readers of The Salt Lake Tribune, Thomas Burr and Matt Canham&apos;s two political books published this past year surely can&apos;t be considered overlooked, thanks to the excerpts and ads in these pages for "Mia Love" and "Mormon Rivals." But around the newsroom, our colleagues have regularly offered smart insights into the bookmaking side of journalism. And so we included them in this year-end package by asking about readers&apos; response to their long-form narrative journalism. "These stories are narratives where we try to bring readers behind the scenes to key events in these prominent politicians&apos; lives," Canham said. "We&apos;ve heard repeatedly from people who were actually involved in those encounters, and they marvel that we got it right. One person wondered if we bugged their phone. We didn&apos;t. Instead we compiled our interviews with hundreds of other sources, from a documentary to cable news appearances, into one compelling story. Don&apos;t worry  we list our sources, they are just at the back of the books."